Nehru Garden is beautiful attractive Garden in Udaipur. It is famous sightseeing in the city Udaipur. 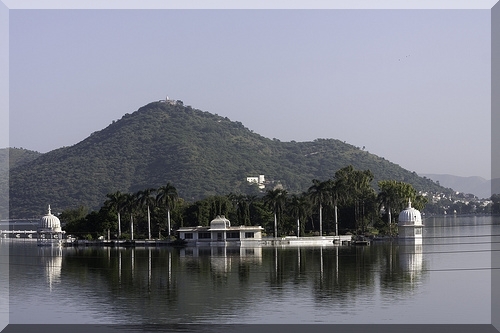 Location : Nehru Garden is located at amidst the Fateh Sagar Lake in Udaipur. Nehru Garden is a beautiful garden spread over 4.5 square km. And this garden is constructed in an Island at the heart of Fateh Sagar Lake. This Graden is encloses many distinct water fountains resembling those in Brindavan Gardens of Mysore. The lush green garden with its water fountains, flower gardens and a lily pond offers truly an eye-soothing view for any observer. In this garden you can enjoy the pleasant boating from one side of the Fateh Sagar Lake. The garden has a rich variety of fauna with its beautiful flower beds and lillty ponds make it an attractive picnic spot. In Nehru Garden you see the channel type and Pyramid shaped fountains and it has verdant flower beds. In this garden you see the floating restaurant, in a boat shape is an added attraction here, located in the north west of the garden. By boats, tourists can reach this park from one side of the lake.